YouTube user My Gadgetic has this month unveiled an impressive new handheld gaming console concept they have created for an imaginary Nexus Play games console and home entertainment device. 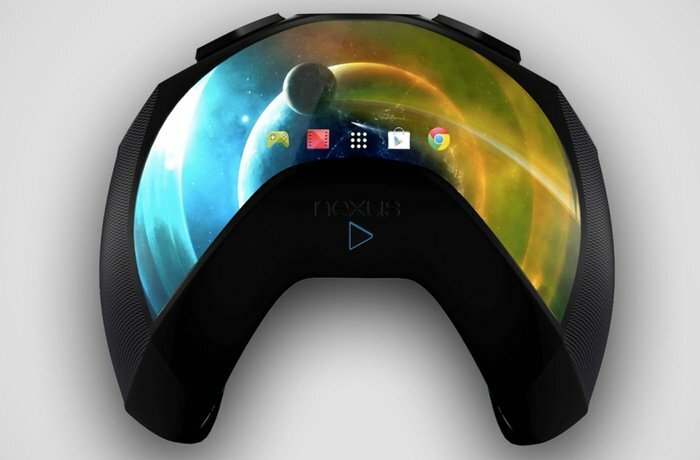 As you can see from the image above the concept Nexus Play device is equipped with a curved display that provides touchscreen controls for users to enjoy and customise to meet their preferences within games that they can play on their large screen HDTV. For more information on the new concept Nexus Play device jump over to the My Gadgetic website for details.